Similar to the jargon of this the computer age, there have been `threads` throughout my life linking and connecting me to Glenesk. There has also been a remarkable coincidence in that over many years in my life, the name of a certain individual also frequently crops up. Margaret Fairweather Michie, who for most of her long life was known as Greta. You may ask what were these threads? Glenesk, Brechin, Monifieth, also a fascination for local and family history . Listening to people about their lives. Glenesk , Tarfside and Glen of Lee, are well known to my immediate family, who have all spent many happy hours , days and weeks enjoying all the pleasures they had on offer. Walking by the side of Loch Lee, visiting Drakes Pool, the Queen`s Well, The Rowan and the remains of the many former hamlets such as Whiggington, Tirly Birly. Also learning something of the people who had formerly lived in `the Glen`. These were according to her book `Glenesk The History and Culture of an Angus Community` all subjects very important to Greta Michie, who established the Folk Museum in the Retreat, formerly a shooting Lodge owned by the Earl of Dalhousie. Who was Greta Michie and what was her Monifieth connection? Margaret Fairweather Michie. M.B.E. was the daughter of George Simpson Michie, farmer, born Lochlee 1850 and his wife Alexina Whyte Fairweather, Nursery Governess, born Carmyllie 1862. 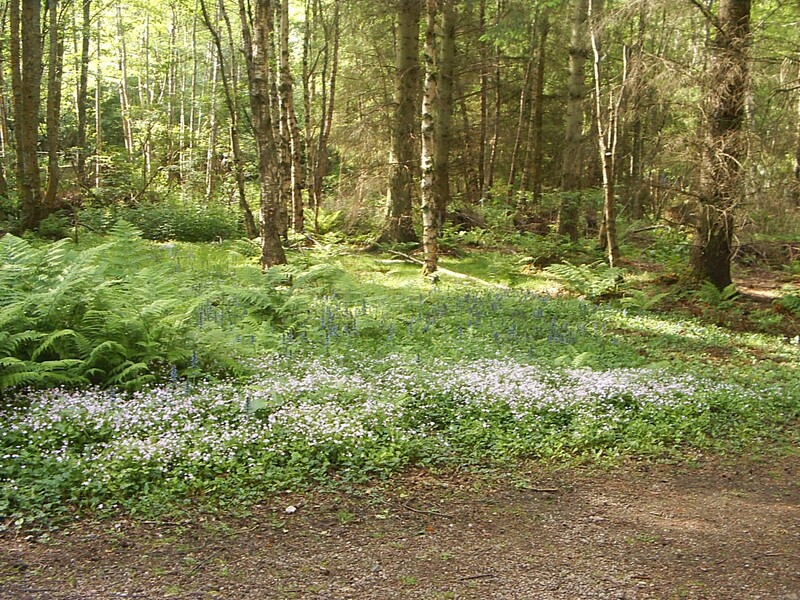 The Michie family had moved from Corgarff, on Donside to the Glen in the early 19th century. Greta`s grandfather had been employed initially as a gamekeeper, then later land manager, by the Earl of Dalhousie, before becoming the shepherd/ farmer at Cairncross. The Michie family were very well known musicians particularly as very talented fiddlers. That is they played traditional Scottish Music. Fairweather Family and Monifieth. During Greta`s grandfather`s time, Monifieth was a `sleepy hamlet` until the era of the industrial revolution when Mills and Foundries were established for large scale linen and jute production. The Milton Spinning Mill in Monifieth was owned and managed by Robert Fairweather, grandfather of the industrialist James Fairweather Low, who as owner of Monifieth Foundry, brought employment fame and fortune to the Burgh. Was there a Fairweather family connection? To date I have no knowledge of any, however it is certainly something worthy of researching, with time permiting. Alexina Whyte Fairweather, Greta`s mother was the daughter of David Fairweather, she was born on 27th April 1862, at Drummygar, Carmyllie, and certainly came from a very talented family. David Fairweather, her Greta`s grandfather, was a native of Carmyllie, born in 1828 at Drummygar, Carmyllie. On his marriage certificate in 1856 he is described as being a shoemaker. Later when the family moved to Dundee around 1880 he established a flourishing bootmakers business at 111 Perth Road. In 1881 the family were living at 8 Park Terrace Lochee. Children of the marriage are listed as being Alexina, Jane, Isabella, David, James, Helen, George. Maggie and Elizabeth. Later research revealed Greta`s uncles to be Rev W.Fairweather of Dunnikier, Kirkcaldy; Rev.David Fairweather, of Morningside, U F Church Edinburgh; Rev. G.M. Fairweather, Wemyss Bay; and Mr JF Fairweather, W.S. Edinburgh. An uncle through marriage to her mother`s sister was Inspector Patterson, of Dundee Police Force. Her aunt, Helen Fairweather was an Infant School teacher. Greta`s mother Alexina Fairweather prior to her marriage to George Michie, was a Nursery Governess. Sometime around 1891 Greta`s grandfather David Fairweather had built a villa at Ashbank, Monifieth, where he with some of his family members lived for many years. Helen Fairweather , who did not marry resided in the family home, Ashbank until she died in 1970. In her time teachers remained spinsters, dedicated to teaching. Margaret Fairweather Michie , ( Greta) was born on 29th November 1905 at Cairncross. Her only brother Duncan Michie, named after his paternal grandfather , was born 1908. The Michie children started their primary education at the local Tarfside school. 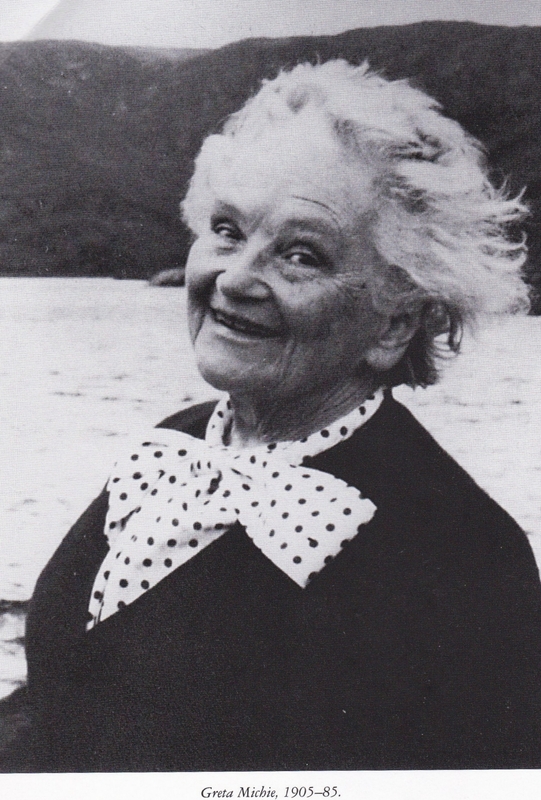 Greta later studied at St Andrews University for a degree in Modern History and English, before taking up an appointment as a primary school teacher in Brechin. 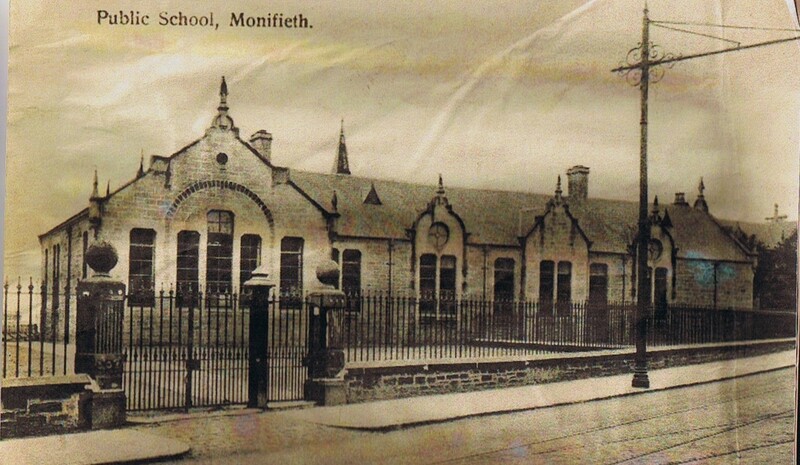 In 1935 Greta moved to Monifieth, where some of her mother`s family still resided, to take up a post at Monifieth Public School to teach History & English to junior /secondary standard. She took occupancy of a house in Hill Street. There are still residents in the village who remember her as a teacher. I have been told “Oh, she was a good teacher, but very loud. The class next door could hear her, especially when she banged her tawse on the desk” Another story related to me. “The school bell was rung at quarter to nine in the morning. When a `new` teacher was appointed she queried why this was done so early. ?” It was explained that the headmaster , in his wisdom, to resolve the problem of Miss Michie, who never arrived at the school on time for nine, believed that by ringing the bell a quarter of an hour early might be the answer to speed her up. I am sure there are many more untold tales of the years she spent with the pupils in Monifieth, before her return to the Glen to take up the charge of the one teacher school in Tarfside. Greta served on the Monifieth Burgh Council , the people who were responsible for the provision of local services to the Monifieth residents. Another link with Monifieth and the Glen being the teacher at Waterside School, was Maggie Meldrum, daughter of the long serving Headmaster of Monifieth Public School Mr Meldrum, who set a record of being in post from his appointment in 1874 for 47 years until his retirement in 1921. Mr Meldrum died at Waterside at the home of his daughter. 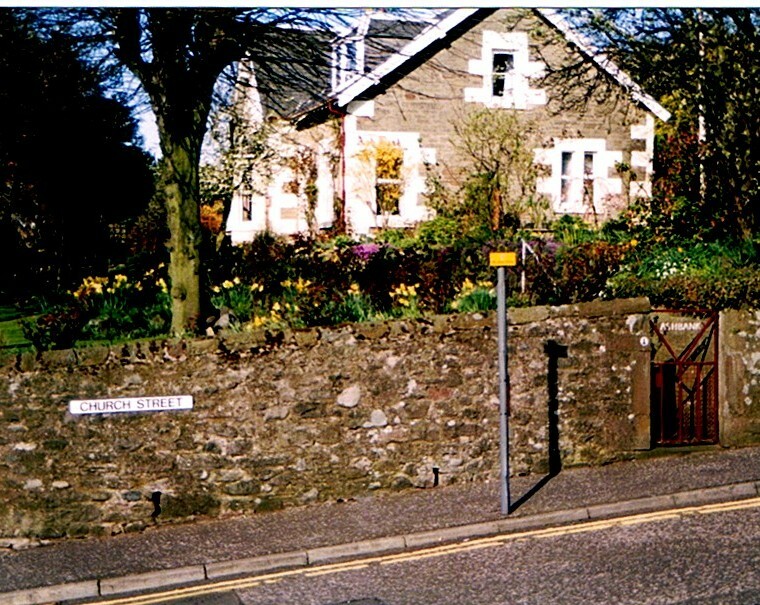 The Monifieth school house during John Meldrum`s headmastership, was just across the road from Ashbank, from which it could be assumed that both Mr Meldrum and his daughter Maggie were well known to the Fairweather family. In his book “The Glens of Angus” David Dorward, the illustrations used by him include those of Tarfside, The Rowan, The Retreat, Queen`s Well, St Andrews Tower, Dalbrack Bridge, take the form of etchings, by the very well known Monifieth artist Colin Gibson, who obviously knew the beauty of the Glenesk countryside. To end connections, on a personal note, my memories of Glenesk the happy family days are with me forever. The thread link to Greta Michie is not only my fondness for local history and writing, but the fact my home is in Ashbank, the former Fairweather family home, built by David Fairweather, Greta`s maternal grandfather, which was eventually sold following the death of his daughter Helen. It has been home to my family , for over forty years. Thanks to Margaret Michie`s establishment of the Retreat Museum and the wonderful archives it holds, I was able to uncover some interesting details regarding my family surname. Similar to the Michie family, there were ancestors of my husband`s family , who migrated from Donside, to the Glen of Lee, then to Glenesk. So far I have been unable to make any family connections with this family branch. The records held in the Retreat do however reveal details of one of our surname , and many families from the Tarfside, Loch Lee and Glenesk area. There must be many more Glenesk ? Monifieth connections.